Surrey’s fire chief is to lead members of the civilian services at the national service of remembrance at the Cenotaph on Sunday. Steve Owen-Hughes (pictured right) has been asked to lead one of two detachments of the Civilian Services Contingent, made up of staff from the fire, police, ambulance and prison services, as well as St John Ambulance and the British Red Cross. The Remembrance Sunday service – to be led by the Royal Family – will have added poignance this year because it marks the 100th anniversary of the end of the First World War. The Civilian Services Contingent forms part of the guard of honour around the Cenotaph in Whitehall, London, alongside detachments from the Army, Royal Air Force and Royal Navy. 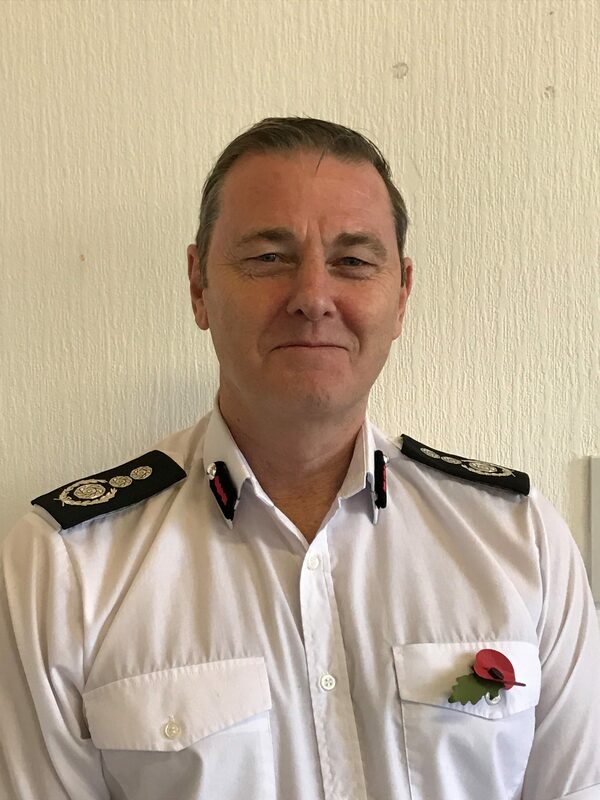 Mr Owen-Hughes, Acting Chief Fire Officer, had a distinguished military career before joining Surrey Fire and Rescue Service in 2010. He held various roles in the Army and with the Ministry of Defence, serving on front lines including Afghanistan, Kosovo, Northern Ireland, Iraq, Africa and the former Yugoslavia. During this time he was also involved in humanitarian work and founded the charity Operation Florian to help bring fire-fighting equipment and skills to war-torn regions. He holds an MBE, the Fire Service Cross and has received a number of commendations.